Arizona-based startup Local Motors has created a 3D-printed, self-driving bus that can carry up to twelve people. The bus is named Olli, and it’s designed to serve as an on-demand transportation option. Like human-helmed cars from Uber or Lyft, Olli would arrive to pick up riders after being summoned by a mobile app. Unlike other autonomous vehicle projects from Google and others, which are expected to be available to the public several years in the future, Olli is ready to hit the streets as soon as regulations allow for it. While Olli has no human driver, IBM has volunteered the services of its flagship artificial intelligence system Watson to serve as a friendly interface between riders and the vehicle. “The technology has been ready—fielding it is what has been hard,” says Local Motors co-founder and chief executive John Rogers. “Local Motors is about selling into the markets that are ready now.” This quick roll-out is facilitated by Olli’s unique assembly through locally based 3D printing shops. “We hope to be able to print this vehicle in about 10 hours and assemble it in another hour,” says Rogers. The company anticipates the eventual establishment of hundreds of micro-factories across the globe, ready to produce Olli buses uniquely suited to local needs. Olli’s driving is guided by a computer system designed by Local Motors and several partners. While IBM is not involved in this process, the tech giant provides the user interface system, powered by Watson. “Watson is bringing an understanding to the vehicle,” says Bret Greenstein of IBM. 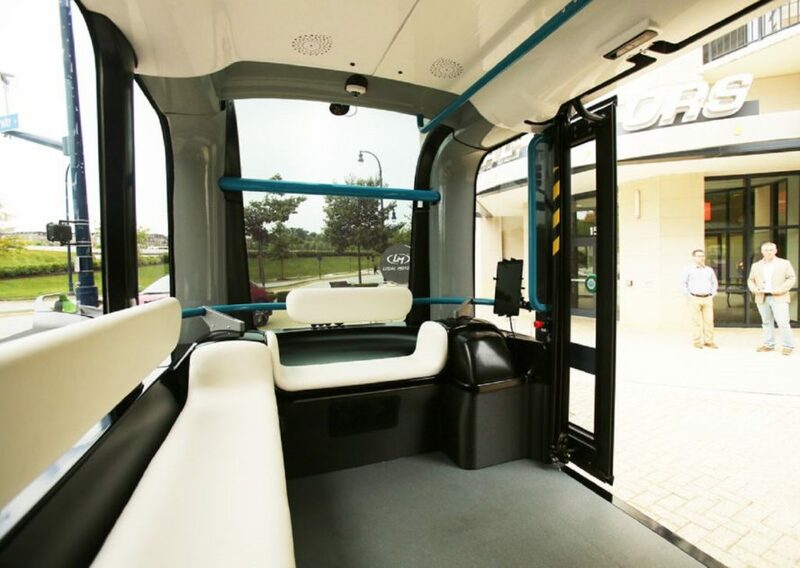 “A vehicle that understands human language, where you can walk in and say, ‘I’d like to get to work,’ that lets you as a passenger relax and enjoy your journey.” Local Motors and IBM believe that Watson’s “human” touch will allow riders to build a relationship with the artificially intelligent Olli. Local Motors is now in discussions with dozens of cities in at least 50 countries which are interested in bringing Olli to their streets. Arizona-based startup Local Motors has created a 3D-printed, self-driving bus that can carry up to twelve people. The bus is named Olli, and it's designed to serve as an on-demand transportation option. Like human-helmed cars from Uber or Lyft, Olli would arrive to pick up riders after being summoned by a mobile app. Unlike other autonomous vehicle projects from Google and others, which are expected to be available to the public several years in the future, Olli is ready to hit the streets as soon as regulations allow for it. While Olli has no human driver, IBM has volunteered the services of its flagship artificial intelligence system Watson to serve as a friendly interface between riders and the vehicle. An exterior view of Olli. An interior view of Olli.